Reminds me of when I was a caring and sensitive man of the 90s. 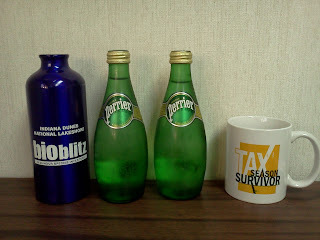 Wow - I didn't know Perrier Water was still around. What other 90s mainstays am I missing? A couple of weeks ago at the office we had lunch brought in by one of our business partners. A deli lunch care package! Great, because we are chained to our desks. Perrier Water was included. As it turns out, that is good news for me, especially while I am striving to kick the soda pop habit. Darling bride sent me this link about how bad soda pop is, including manufacturers allegedly changing the chemical proportions so they don't have to put cancer warnings on the label. To bad my office manager recently brought in a new supply of Coke Zero. I don't have the heart to tell her that I've coined the phrase "cola-cinogen." Despite all that, I do appreciate the thoughtfulness of having a lunch provided, and drinks provided. 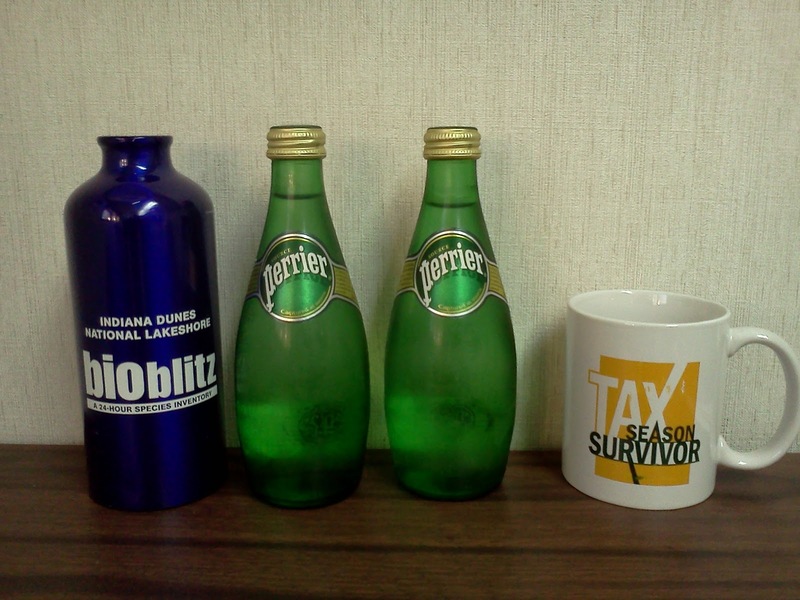 We also have an excellent water cooler (sounds like a cliche, I know). In other office news, we are still busy. About 26 days left in tax season and we have processed only about half of the expected tax returns. It builds to a climax, folks. Time to go drinking. Hooray for the soda-less lifestyle. :-) It saves a lot of money, too, by not drinking soda.